Decades after female poets of the ‘60s and ‘70s gained attention and acclaim, feminist poetry is having a moment again — particularly for women of color. But the progression of feminist poetry has roots beyond politics of the day, Enszer says. She cites the longstanding work of groups like the African-American poetry organization Cave Canem, LGBT group Lambda Literary and Kundiman’s Asian-American literary programs as instrumental in championing minority voices. “I think that, as a community, poetry has also invested in various systems of mentorship that have contributed to the flowering that we’re seeing at this particular moment,” she said. Here are three women poets to watch in 2018, plus what they had to say about feminism, and which feminist poets they’re reading now. 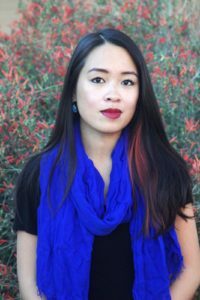 Susan Nguyen, poet and MFA student at Arizona State University, writes poetry that “carves out space” for her body and identity as an Asian-American woman. 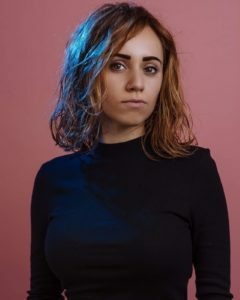 She says her work doesn’t deal with pleasant or pretty themes, and her inspiration for “All the Good Women are Gone” came from a deep dive into disparaging online forums about where all the “good women” are. “What is a ‘good woman’? You know, I don’t even know that supposed to mean in the first place,” Nguyen said. The past year since the 2016 election instilled a sense of urgency in Nguyen to explore her identity through poetry. She can’t predict the direction feminism is moving, but even watershed moments like #MeToo sometimes seem “far away” from the average woman’s experience. Nguyen hopes that, moving forward, feminist movements start including more marginalized voices as a rule, not just an afterthought. Nina Donovan wasn’t expecting to become an internet sensation with her poem “I am a nasty woman,” but when Ashley Judd read her work at the first Women’s March on Washington, she went viral. “Even now it’s still just feels so unreal,” she said. The recitation at the march garnered millions of views, and Donovan now travels around the country performing and speaking at events. She says internet fame and life as a young poet in school is a balancing act. “I’m out here getting my heart broken. I got finals to worry about I got trolls on the internet, it’s crazy,” Donovan says. But her new work is eclipsed by “I am a nasty woman,” a fact she thinks is indicative of feminism’s diversity flaws. One of her latest pieces, about Jennifer Lopez and connected to the crisis in Puerto Rico, didn’t gain as much traction. “People just want to hear ‘nasty woman,’” she said. 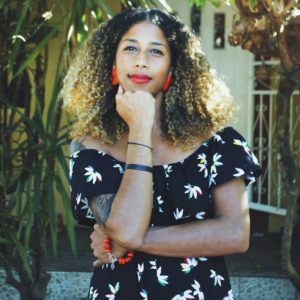 Aja Monet believes poetry is a liberating force, and words are essential tools for action. She never felt mainstream feminism represented her, especially as a young woman growing up in the public school system. “My Mother was a Freedom Fighter” was inspired by the strong women who came before her who struggled for a better path in life. Her mother was one of them. Monet blames a lack of education for feminism’s diversity problems. Everything she learned about the movement growing up was rooted in the inclusion of minority communities, but she doesn’t think that is the case for many women. Pink cat ears and canned slogans aren’t enough for Monet.